For me Relentless is more than a word. It is a personal manifesto. Relentless is the force that drives a phoenix as she rises from the ashes. Relentless is the ferocious tenacity that overcomes every obstacle. Relentless is the white-hot inner fire that forges personal success. 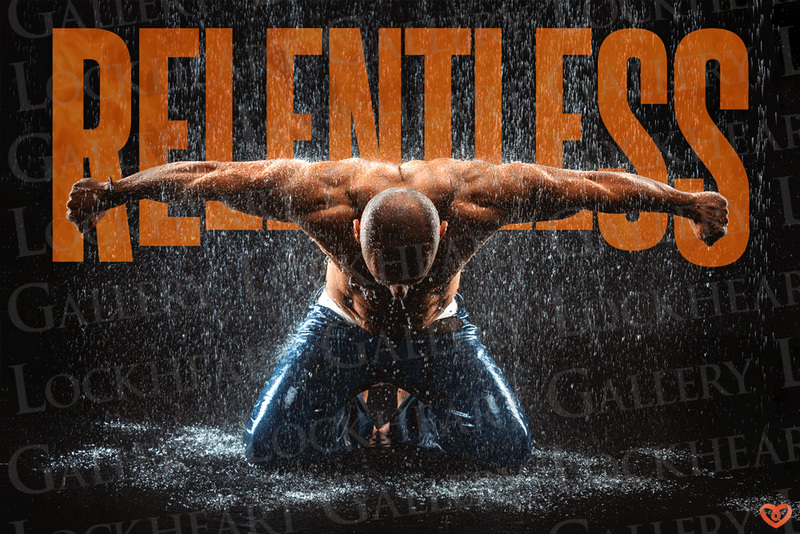 The striking imagery in Relentless was designed to motivate and inspire its viewer. When I look at the piece, I’m drawn into its pure, deep blackness. The chill of the rain. The weight of the pain. But I also understand internal strength. And I find the juxtaposition of outer night vs. inner light to be a compelling theme worthy of daily thought. The strength and fury of the model’s internal fire shall not be quenched. He will not succumb to the blackness. The storm shall not prevail.